Familiarity with the ISM code is a subject that has reappeared multiple times during the Deepwater Horizon trails. The ISM code was designed, in part, to assure the responsibility of shore based management in safety matters and the liability of shoreside managers in the event of an incident. 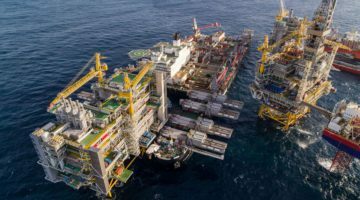 Unfortunately, the hearings board has only seen it fit to question crew members aboard the rig, not their bosses ashore, a decision which undermines the code itself. The International Safety Management Code (ISM Code) provides International standards for the safe management and operation of ships and for prevention of marine pollution. When was the ISM Code first enacted? What is the purpose of the ISM Code? Who is tasked with verifying and enforcing compliance with ISM Code? Each ship that is required to be ISM compliant is inspected regularly by class to check that their Safety Management System (SMS) is effective . Once the classification society verifies SMS is working effectively, the vessel is issued a Safety Management Certificate. Comments from the classification society and from the ship are incorporated into the SMS by the vessel owner or manager . What are the duties of the Designated Person? The Designated Person ensures the safe operation of each ship and is the link between the Company and those on board. This person should have direct access to the highest level of management. The responsibility and authority of the designated person or persons includes monitoring vessel safety and pollution-prevention aspects of the operation of each ship to ensure adequate shore-based support is applied. What are the minimum requirements for the vessel’s Master? What is the IMO’s guidance on which procedures need to be enacted by vessel operators? What are some links for finding more information on the ISM Code?